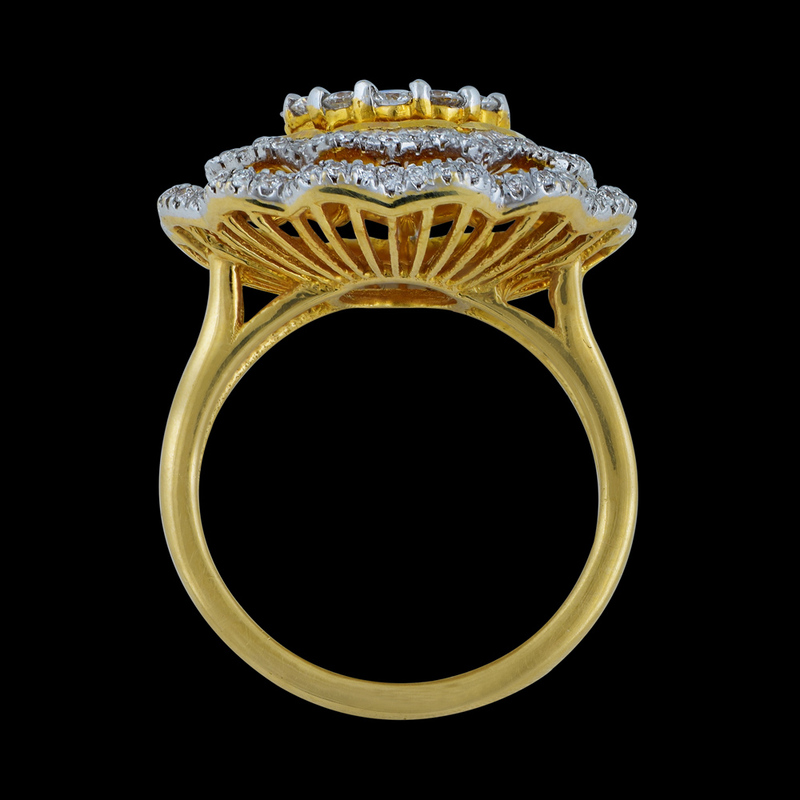 This Chic Flower Diamond Ring is a display of beauty. The 18K diamond ring for women with a stone weight of 0.324CT is studded with diamonds to give you that much-needed sparkle. This diamond ring from our renowned collection is something you are sure to treasure forever and will make you feel as exclusive as the diamonds you're wearing.